A2B Moving Professsionals Refuses to pay their suppliers. 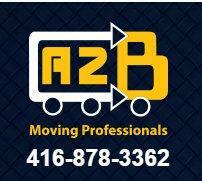 Suppliers be aware of A2B Moving Professsionals in Richmond Hill, ON. They don't pay their suppliers. Homeowners be aware. Their are better companies to use that use better business ethics. Homeowners and Suppliers WATCH OUT!